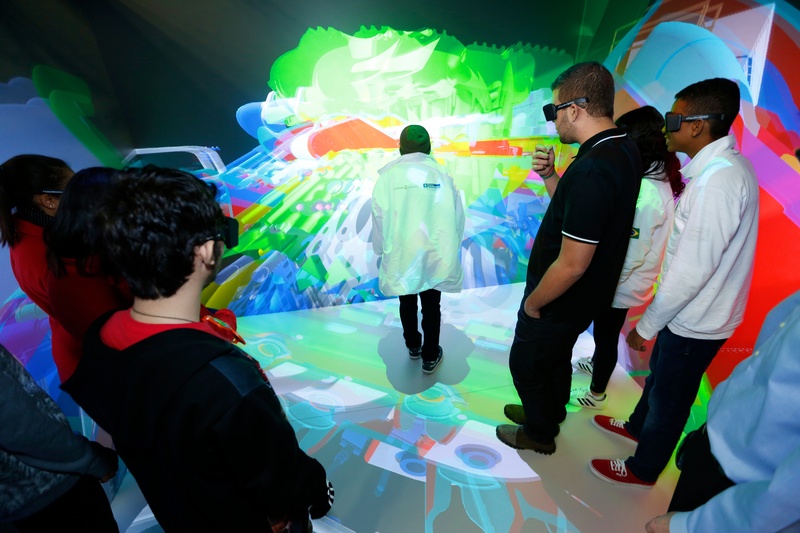 February 6, 2015 – Lockheed Martin hosted 53 of Brazil’s top science, technology, engineering and math (STEM) students at its Space Systems facility here in Denver on Thursday, January 29. The students, ages 15 to 19, learned about space innovations through interactive demonstrations of digital manufacturing and tours of advanced labs that create systems for deep space travel. The visit served to prepare the students to succeed in an increasingly knowledge-intensive and globally-integrated landscape. Lockheed Martin engineers, including senior executives and recent graduates, met with the students and shared insights about the opportunities in the aerospace industry for professionals with STEM-related degrees. The visit was organized in collaboration with the Denver-based nonprofit US-Brazil Connect and their partner Brazilian Confederation of Industry. Lockheed Martin, with an employee base that includes 60,000 engineers, scientists and technology professionals, supports programs locally and internationally that educate and inspire tomorrow’s scientists, engineers and mathematicians. Founded in 2011, US-Brazil Connect is a leading facilitator of collaborative education programs linking the United States and Brazil. They’re committed to unleashing unrealized economic and human potential by joining communities in the Western Hemisphere’s leading economies.